So in view of all this rain we've been having I have a plan!!! I think it's safe to say that my plan for the snow worked pretty well *touches wood that we don't suddenly get a snow fall* & that by having ensured I had my snow look well & truly sorted this winter just gone has meant that we haven't seen more than a small flurry of the white stuff...which of course has it's plus points as well as it's downside (I LOVE days when we're all snowed in not to mention sledging & snowball fights).....oh well there's always next winter but we won't think about that just now!!!! Instead I'm going to see if I can do the same for these recent downpours & see if by getting my 'it's tipping it down out there' outfit sorted we can happily skip through this phase & stick with the blue skies & move straight on to summer (well it's worth a shot no?!!!) & surely after all the rain we've already had at the beginning of this year there can't be any more left??!!!!!! In fact I've just heard the weather forecast for the next few days & my plan might already be working!!!! So moving swiftly on let's get on with the selection that have caught my eye. Starting with this double breasted short mac by Vero Moda. A really classic design that's also a great length for those of us that are in & out of a car all day as you haven't got to worry about straightening it when sitting down or even getting trapped in the car door......how many of us have done that on many an occasion?!!! Sticking with the shorter length mac but moving onto a skater style. I really love this navy one from ASOS. In fact I used to have a mac just like this for work many years ago & I absolutely loved it. It was a great style for teaming with a suit/pencil skirt & I loved the fuller skirt style, which just felt that bit more feminine. Next up is this mac from ASOS, which is what I would call your traditional style & I think it looks absolutely stunning in the navy, not to mention the stone & black!!! 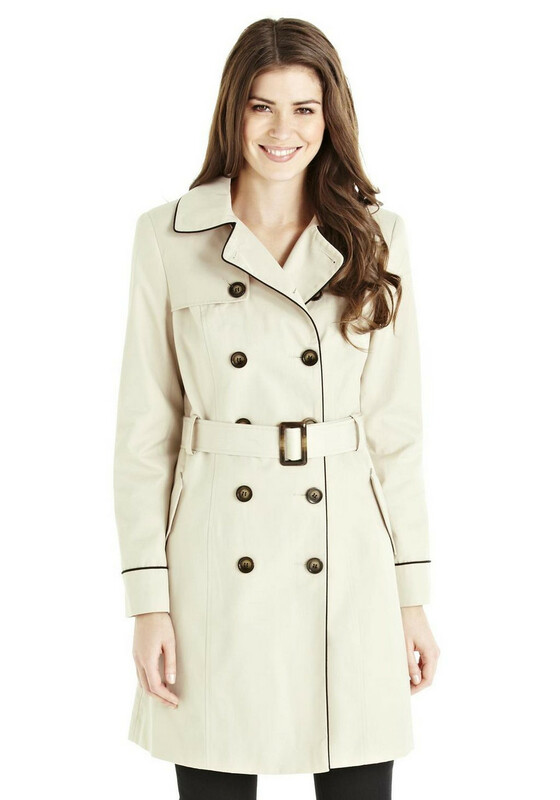 If you want something a little less traditional then you should love this next trench from Mint Velvet, which whilst still retaining the classic elements of a traditional mac has a slight twist with the added zip detailing. 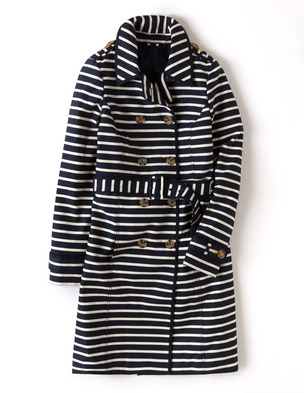 If however, you want something a little bit different but still classic then how about this navy & white striped trench. A great classic design but something a little bit different being striped & would very elegant & stylish teamed with some boyfriends, ballet flats & a simple sweatshirt. 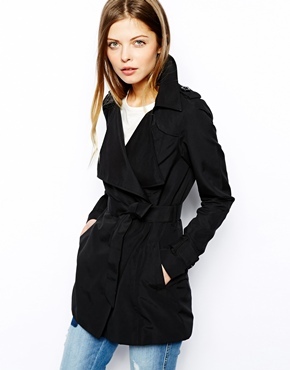 Or how about this short mac from Gap? Again perfect for simply throwing on, on more casual days & would look pretty fab teamed with a splash of colour with a great scarf & some trainers. Not to mention perfect for slipping on of a morning while waiting for the day to heat up. 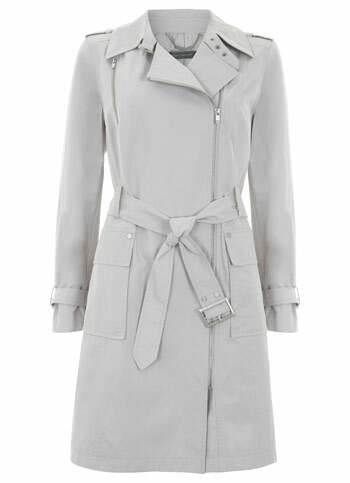 Finally what about this piped mac from Tesco, a great classic with a little bit of extra detailing. Finishing quickly with my outfit for today for another sneaky day out of the office & a trip to London town to another press day!! So what do you think? Are you a mac lover or do you think it's something that should only be worn for the office? Do you have a favourite style & colour or are you of the opinion that a girl can never have enough macs?!!!! I'd love to hear your thoughts. See you in the morning & fingers crossed here's to the sunshine!!! It's a beautiful day in Hampshire today so wherever you are I hope the sun is shining now! It depends what I'm doing on rainy days as to whether I wear my red mac or my waterproof golf coat but either way I just sling them on if we have to go out in the rain. I don't mind rain as long as it's not windy too - rain and a brolly is fine, rain and wind and brolly not so much! Oh yes Lou rain & wind is a nightmare, I hate trying to battle to keep an umbrella from collapsing in the wind. Luckily today has been anything but rain - just glorious you can almost feel summer!! 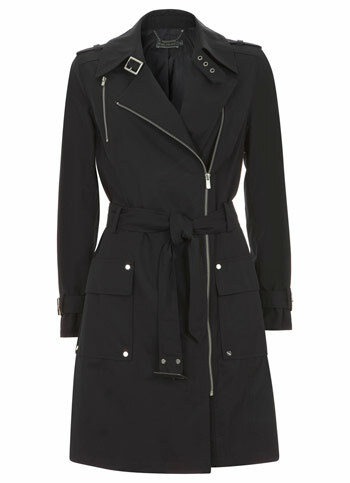 I was very lucky to be given a lovely burberry mac by my daughter as she wanted a change. Luckily, the sun is now out and it's not required for the next few days at least. They're definitely a wardrobe essential aren't they Rosanna & if I'm kitted out you can almost guarantee the heatwave!!! 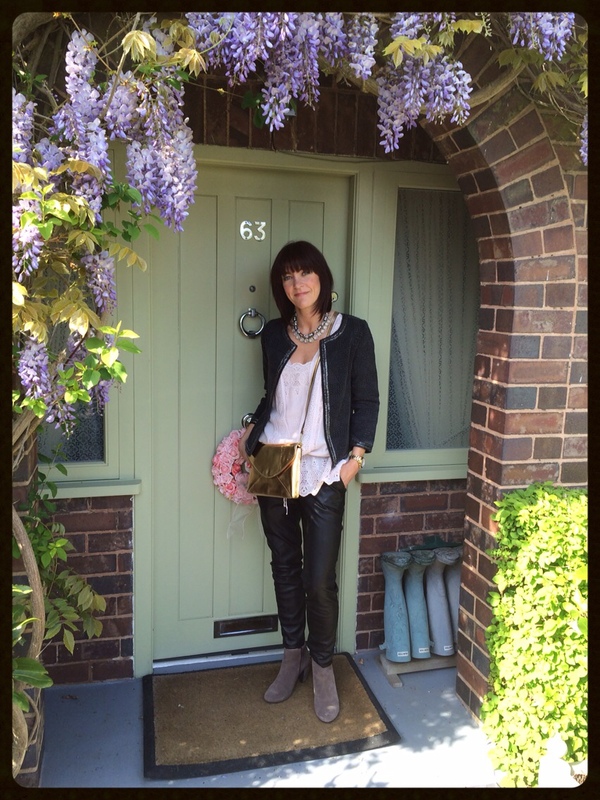 Yes I had another fab day out thanks Annmarie & am now wanting lots of faux fur & chunky knits as a result!!! 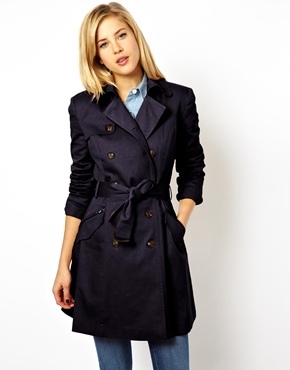 I'm also liking the idea of a navy trench to add to the collection as it would look stunning with tan accessories & a classic white shirt...think I may have to add it to the list!! Mari I think they're just a great wardrobe staple that will always be around & look just effortlessly chic.